April 17, 2019 – PA Xtreme’s 14u Premier’s Kristen DiNolfi, freshman 2022, crushing it with Daniel Boone!! April 17, 2019 – Schaefer, Kennan, Hertzler (PA Xtreme 18u Premier) and Hartman (PA Xtreme Gold) leads Boyertown over Methacton. 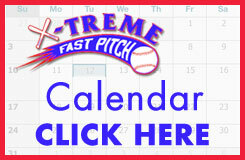 April 4,2019 – PA Xtreme 18u Premier Jules Ryan and Jules Hughes help Spring-Ford kick off the 2019 school year undefeated. 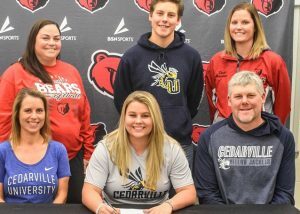 March 4, 2019 – Congrats to Kylie Hertzler for signing her NLI to continue her academic and athletic career at Cedarville University!! March 4, 2019 – Congrats to Emily Oltman on her first college win at Misericordia!! February 11, 2019 – Watch as former Xtreme and now USF Ana Bruni makes ESPN SportsCenter Feb 11 Top 10!! 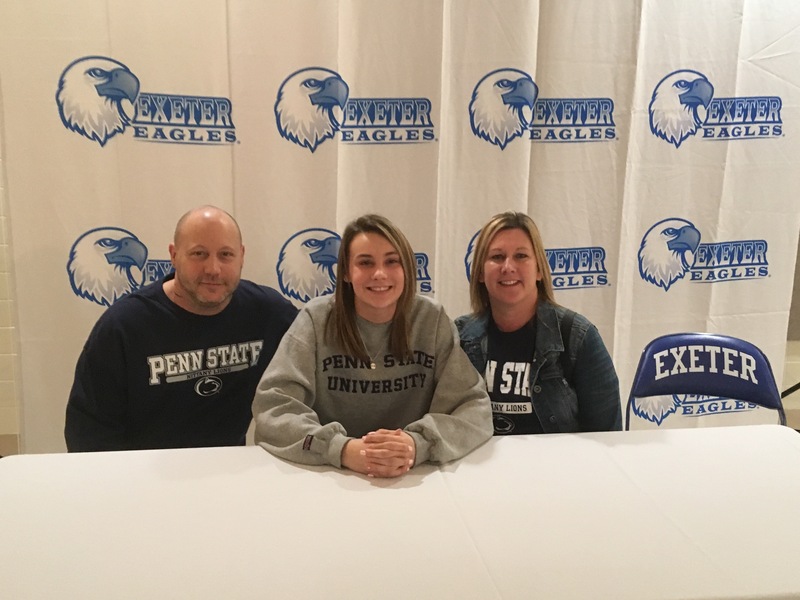 January 20, 2019 – Congrats to Zoe Barna for signing her NLI to continue her academic and athletic (softball/volleyball) career at Penn State Berks. 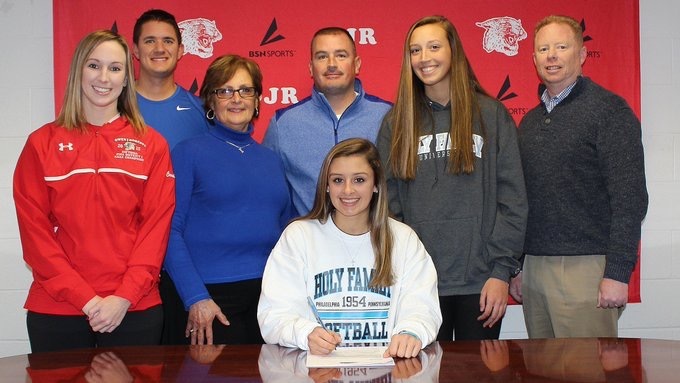 December 10, 2018 – Congrats to PA Xtreme 18U Premier’s 2019 Madison Twaddell on signing her NLI to continue her academic and athletic career at Holy Family University! September 11, 2018 -Congrats to Jess Oltman (2018 PV, freshmen at Misericordia) on being named MVP in Volleyball! Dual athlete, love it. Erinn Messner, a junior at Oley Valley High School, who was selected to the 2018 Berks County High School All County Softball Team at 1st Base. June 21, 2018 – Congrats to our own Emily Kuberski (18u Showcase) and Ashley Remington (18u Premier) for being named All-Academic for the PAC10 for the spring 2018!! May 31, 2018 – Congratulations to the following 18U Elite team members for making for making the 2018 Carpenter Cup Softball team : Maddie Daubert, Madison Twaddell, and Madelynn Solow! Great job girls! May 8, 2018 – Congratulations to Zoe Barna from our Xtreme 18U Black team for making the 2018 Carpenter Cup Softball team representing Berks, Lebanon, and Lancaster counties. Zoe is a junior at Exeter Township High School. The Carpenter Cup showcases some of the best sophomore and junior softball players from eastern Pennsylvania, New Jersey, and Delaware. 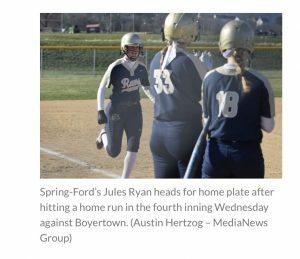 April 27, 2018 – Jules Hughes, Madi Walsh, and Jules Ryan lead Spring-Ford to victory! April 25, 2018 – Jess Oltman leads PV; Dauberts key offense for OJR, Grffin pitches SF to victory! April 10, 2018 – Angelillis and Weil-Kasper lead Methacton to victory. April 7, 2018 – Sharkey goes yard lead Spring-Ford to victory. 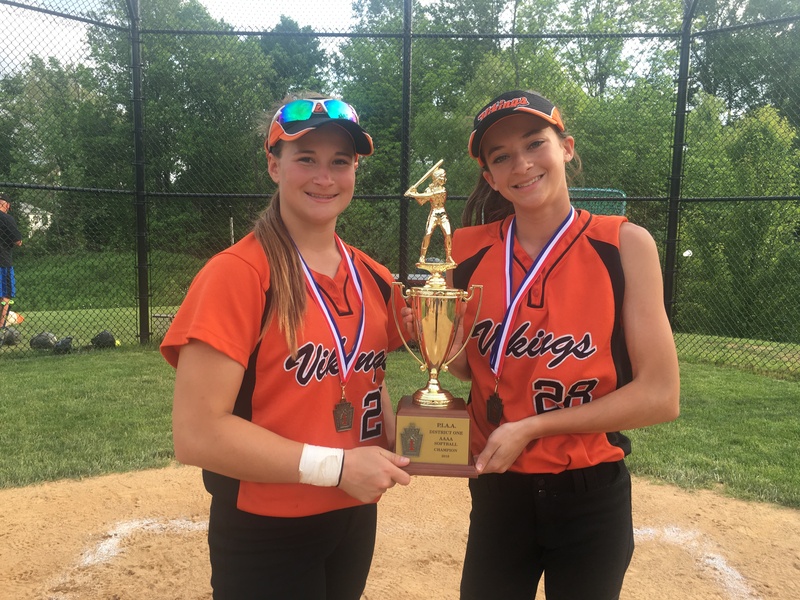 March 27, 2018 – Xtreme girls Bridget Sharkey (18U Premier) and Maddie Walsh (14U Premier) lead Spring-Ford to victory. March 23, 2018 – Congrats to all of our Xtreme girls recognized in the PAC10 Preview. We are proud of all of our Xtreme girls who are representing their respective schools this year. Have a great year!